Hello again, I just want to thank you for all your help and just another problem again. I am working on the truck listed above with a k24 motor. Now I am putting back the timing chain and I forgot the sequence on putting it back. May I have the timing marks and the oil pump marks for this vehicle? Thanks again. 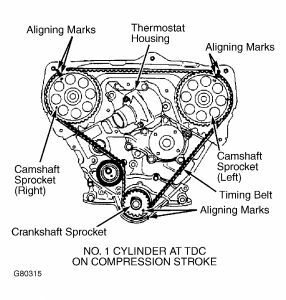 Do all marks have to align the crankshaft and camshaft with timing chain? 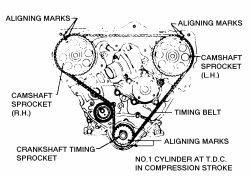 Good diagram but it is a four cylinder with four spark plugs. Thanks. 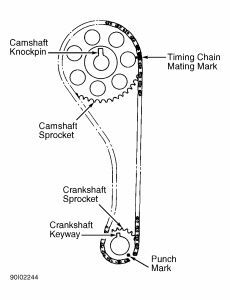 Okay, does camshaft knock-pin always up or just align with timing chain? Well, it spins in operation, but when replacing chain the cam knock-pin and crank sprocket key-way must point up (12 o'clock position). Started the truck with align timing, now it will not stay running like when increase on throttle just shuts off. No, the timing marks on the pulley and chain. I am trying to put back the distributor and oil pump. I tried but wrong timing. 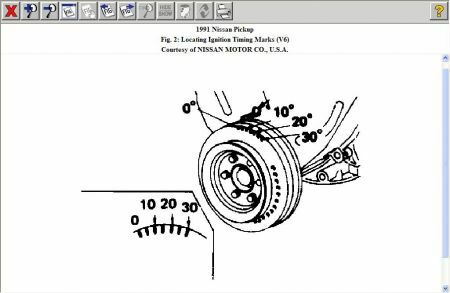 For a 1991 Nissan pick up (on Mitchel 1) I only get a 3 liter belt drive engine? Not what you report having. Six cylinder two wheel drive manual 200,000 miles. 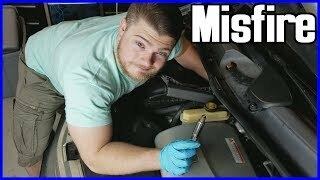 I need to know the timing marks on the crankshaft of a 3.0 V6. Thank you for using 2carpros.com and have a nice day. Six cylinder four wheel drive manual. What are the timing marks on my truck? Cannot get it back in time. 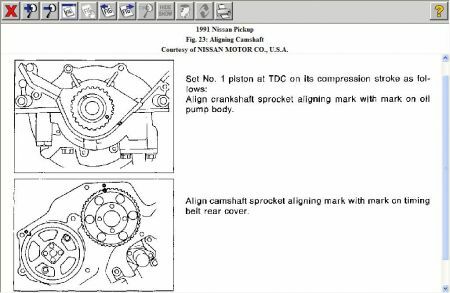 I am looking at a older model Nissan, I am really not sure of the model or mileage, but the timing chain broke and I was wondering if it messed up the valves when it did it. I heard that if it breaks it always messes up the valves and how much trouble would that be to fix? I am presuming that this is an over head cam engine, if so you will be looking at bent valves, this is not normally the end of the world, but you will have to get the head off to make sure that there is no other damage. I would be very surprised if there was a damaged piston, you will have to look at replacing chain, gears and guides as well. 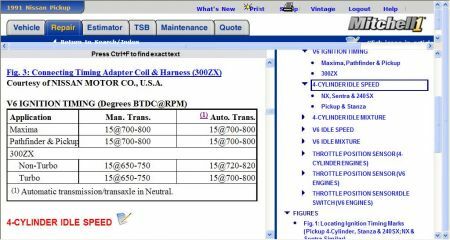 Where is the timing marks for a d21 2.4? Four cylinder engine has fire and is getting gas, timing marks are lined up correctly.